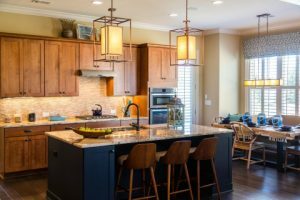 If the thought of planning and completing a kitchen remodel on your own seems daunting, then you may want to work with a full-service kitchen remodeling company. With assistance from a team of kitchen renovation experts, you can rest assured that every detail of your project has been taken care of and thoroughly planned. 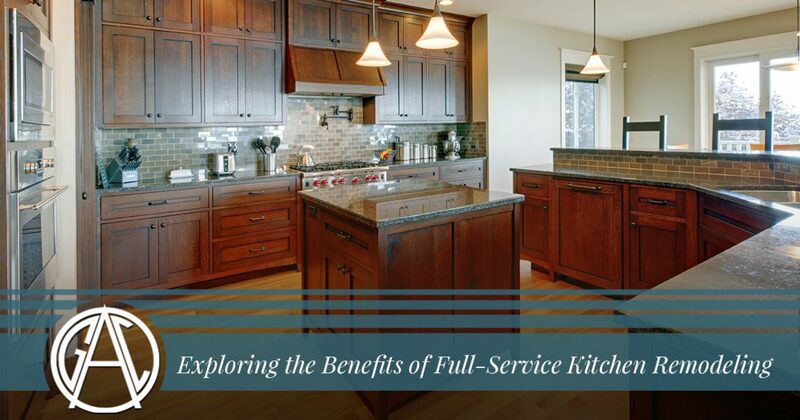 In today’s post, we’ll explain a few of the most prominent benefits of hiring a full-service kitchen remodeling company. If you would like to get started with a kitchen remodel in Newburgh or any of the surrounding areas, give us a call at 877-778-2373 or fill out our online contact form to request a quote. There are several advantages to choosing full-service kitchen remodeling services for your home. For example, instead of being in charge of creating your own kitchen design, you will receive expert assistance from a team of renovation professionals. At Affordable Granite & Cabinetry Outlet, we can help you work within your current kitchen layout, or help you develop something completely new. We keep up with the latest kitchen designs and trends, and we’ll gladly help you find one that maximizes your workflow and provides you with the space you’ve always wanted. We’ll help you through the entire installation process after we’ve helped you pick out new countertops and cabinetry. Unlike other kitchen designers who leave it up to you to find a contracting company, we offer our customers an all-inclusive experience that streamlines the process. When you work with Affordable Granite & Cabinetry Outlet, you’ll never have to play phone tag or wait for different companies to bid on your project. We’re ready to complete your kitchen remodel as soon as possible! Whether you’re installing new cabinets or changing the entire layout of your kitchen, there’s bound to be some interruptions to your daily routine throughout the process. We know that the kitchen is the heart of your home, and we always strive to minimize the disruption to our clients’ lives when we’re working on a kitchen remodel. We provide our customers with regular updates as work is completed, ensuring that you never have to wonder if your project will be completed on time. At Affordable Granite & Cabinetry Outlet, we know that a kitchen remodel of any size is a major decision. You’re investing both time and money into your home, and we know that you have set your expectations high. We aim to provide you with exceptional service throughout the entire process, and we’re always here to help if anything needs to be changed or adjusted after your remodel has been completed. From creating a new kitchen layout to installing your countertops and cabinets, our full-service contractors will help you through every step of the process. By choosing to hire a full-service company, you can reduce the time and stress that is commonly associated with a major kitchen rebuild. Keep an eye on our blog page, as we’ll continue to provide you with information about kitchen and bath remodeling in the coming weeks and months. If you’re ready to get started with a remodel for your home, then give us a call or fill out the form below to request a free estimate for your home.